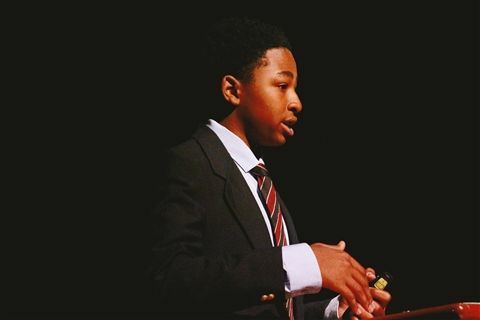 Junior Research Fellow Terrence Robinson ’22 discussed the inner workings of professional sports teams in his recent presentation to his middle school peers. His presentation, "The Business Side of Sports," touched on organizational structure of franchises, contracts and salary caps, and differing policies between the NFL, NBA, NHL and MLB. Terrence had the opportunity to interview several prominent sports executives, including Sashi Brown, Jason Garrett, and Brad and Chris Grant. A common message from them all was that passion and hard work are keys for success in sports.